To work in partnership with country commercial teams to maximize value derived from Aviation operations and to deliver HSE and Operational Excellence at country level. To ensure that product quality and operational requirements included in the Puma Aviation Manuals and JIG standards are rolled out at all drum filling locations, airport depots and midstream terminals that handle Aviation Fuels. Has responsibility for PUMA license to operate in Country at airport depots. Management of in country operations through reporting on Capital and Operations Expenditures, Accidents, incidents, inventory control and KPI’s. Ensure that airport depots observe local airport regulations to ensure that the license to operate remains intact. Thorough application of Management of Change process. The country operations manager optimizes the performance of the operations through guiding the efforts of teams to focus on improving the abilities of field staff, finding root causes and to problems and implementing system wide improvements and organizing the contributions of others to achieve superior customer service. Incident prevention, investigation and reporting are a key role. To ensure, in conjunction with the Regional Aviation operations manager, that JV core principles are implemented at JV locations. Represents the company at JV board meetings. To ensure that the operating standards and procedures in the JV take cognizance of Puma requirements. Where possible, to influence the JV board to implement Puma HSSE standards. To manage airport depot mangers in country in terms of development and training. To participate in people related processes within country. To develop, implement and control the reporting systems in country. Set high personal standards and lead by examples. Ensure that airport depots are adequately staffed to support airport operations in accordance with the manuals. Manage Industrial relations and disciplinary procedures in accordance with company procedures. Demonstrate commitment to building a motivated workforce. Accountable for ensuring that there are sufficient spare parts and critical spares for continuity of operation are available and correctly stored and that replenishment orders are made timeously. To provide operational and quality assurance through inspection of airport depots, midstream terminals and refineries that handle aviation fuels in the country supply chain. To identify gaps and recommend the implementation of appropriate remedial action to mitigate risk. To inspect laboratories that conduct aviation fuels testing within the country to ensure compliance with IATA/JIG Standards and Country requirements. To ensure that the document management system for quality assurance is operational and up to date and operational. To ensure that product levels at al locations are maintained at a satisfactory level to accommodate customer requirements and to ensure that loss / gain performance is within acceptable limits. To ensure that all puma operated aviation depots conform to and apply the Puma SAPS management system in addition to the aviation specific operating management system, quality control and safety requirements. To ensure that accident and incident reporting is captured in “Safeguard” and in addition, reported in accordance with the Aviation Operations and Quality manuals. To ensure that the Puma emergency procedures are implemented at all airport depots. Manage, in consultation with the appropriate country business managers, all operational and capital budgets planning and expenditure. Approve purchases of new equipment, / services and coordinate and supervise investment budgets and capital expenditure according to the Puma DOA. To provide a support service to ensure that the necessary training and guidance is provided to each depot so that product receipt, storage and into-plane deliveries are performed in accordance with Puma Aviation Standards. To ensure that the Puma Aviation training manual is implemented and that task procedures and the required confirmation of training documents have been signed off by bother trainer and trainee. Manage and assist in the negotiation of in Country concession agreements with Airport and Civil Aviation Authorities. Managerial experience in pre-airport and airport depot / JV operations. Advanced knowledge of Microsoft Office applications, Power Point and Excel. Flexible and pragmatic Good leadership, communication and organizational skills. To lead the Maintenance function to achieve maximum equipment availability and reliability, at minimal cost. Position manages the planning, scheduling, and preventative maintenance programs. Coordinating design consultants, engineers, and quantity surveyors with the compilation of design layout of the project to ensure conformity with Puma standard of quality, design, and safety. 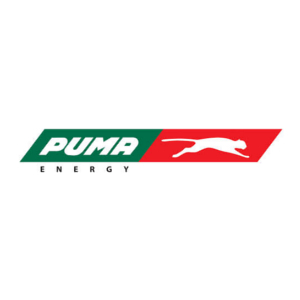 Appointing necessary contractors to perform Puma specific requirements on projects and to ensure their cooperation in working with local authorities and other contractors. Under instruction from the Operations Manager, prepares Scope of works for approved work programs ensuring that all relevant regulations, especially those governing the safety and health of personnel, are complied with. Ensure that the Project Engineer and Maintenance Engineer submit all deliverables on time and check it regularly. Educational Background, Technical and Professional skills. We are committed to equal opportunities in employment. All qualified applicants will receive consideration for employment without regard to race, color, religion, tribe, belief, disability, gender or any other status protected by the laws of Tanzania.